A while back now (in late 2014) Bayer initiated Phase III trials of the investigational agent ODM-201 — now also known as daralutamide — in the treatment of advanced prostate cancer. Daralutamide was initially developed by a Finnish company known as the Orion Group and then licensed to Bayer. The ARAMIS trial is a multinational, randomized, double-blind, placebo-controlled trial in men with high-risk, non-metastatic, castration-resistant prostate cancer (nmCRPC). It is enrolling 1,500 patients who are then treated with either daralutamide (two 300 mg tablets, twice a day) or a placebo. The primary endpoint for this trial is metastasis-free survival (with overall survival as one of several secondary endpoints). Patients can not be enrolled in this trial if they have any metastasis or if they have already been treated with second-generation androgen receptor (AR) inhibitors, other investigational AR inhibitors, CYP17 enzyme inhibitors, estrogens, 5α-reductase inhibitors, chemotherapy or immunotherapy for their prostate cancer. This trial is projected to report initial results in about 2018. The ARASENS trial is also a multinational, double-blind, placebo-controlled trial, but in men with metastatic, castration-sensitive prostate cancer. This trial is enrolling 1,300 patients who are then treated with standard androgen deprivation therapy + docetaxel chemotherapy + either daralutamide (two 300 mg tablets, twice a day) or a placebo. The primary endpoint for this trial is overall survival (with time to onset of castration-resistant prostate cancer as one of several secondary endpoints). As with the ARAMIS trial above, patients can not be enrolled in this trial if they have already been treated with second-generation androgen receptor (AR) inhibitors, other investigational AR inhibitors, CYP17 enzyme inhibitors, estrogens, 5α-reductase inhibitors, chemotherapy or immunotherapy for their prostate cancer. This trial is not projected to report initial results until about 2022, so clearly the ARAMIS trial is the one that is most important to being able to see whether this drug can get approval in the relatively near future. For readers who are interested, a recent article by Shore reviews current knowledge about how daralutamide works and its effectiveness and safety in early stage trials. 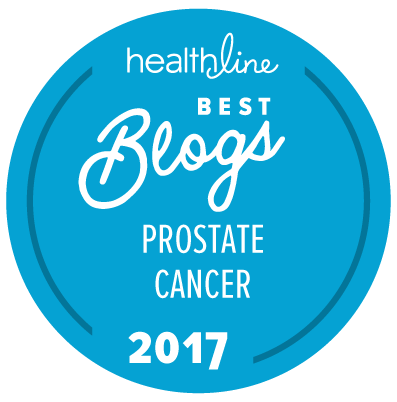 The key question is going to be whether this drug seems to offer better therapeutic benefit in at least some men with advanced forms of prostate cancer as compared with drugs like abiraterone acetate (Zytiga), enzalutamide (Xtandi), and sipuleucel-T (Provenge), and other drugs in development like apalutamide (ARN-509), but there are no head-to-head trials currently in development so a lot will depend on clinicians’ perspectives about the relative risks and benefits of all these drugs in a whole series of ongoing trials.